Kwara Action Alliance denies report of mass defection – Royal Times of Nigeria. 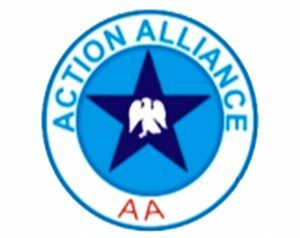 The Kwara state Chapter of Action Alliance (AA) has debunked news making the rounds that thousands of Action Alliance AA party members in Kwara State have defected to the All Progressives Congress (APC). In a statement signed by its Kwara state Chairman Alhaji Adebayo Lawal, and Secretary, Sulyman Adekunle Yusuf, the party described the move as untrue as the leader of the supposed defectors, Afolayan Ibrahim, has never been the party secretary but an office clerk with the party. The statement also informed that the supposed defectors were discredited members of the party who have been allegedly indicted for misappropriating party funds . It therefore clarified that Action Alliance remains intact and will not merge with any party in the quest for success in the forthcoming 2019 General Election even as the party identified Adisa Abayomi as their Gubernatorial Candidate.